Practical. Efficient. 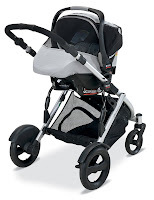 Ease = 3 words that really matter when becoming a 1st time parent! At around 6 weeks old Trace fell in love with his bouncer. He actually insisted on being bounced when fussy, and because my arms were constantly sore from bouncing him, I resorted to this amazing product. Once I put Trace in this bouncer he instantly stops crying. And let me tell you, anything that stops a baby from crying is a necessity in my opinion! This is the best of the best! 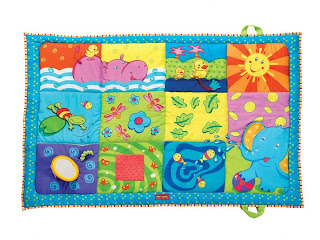 Trace loves doing tummy time on this mat and has recently started to lay on his back and notice the things around him. It lights up, makes sounds, etc. I can't wait for him to be old enough to play with everything! Every person I asked told me to get this monitor. I'm so glad I listened because it has a good quality picture, is so easy to use and can have more than 1 camera hooked up to it (if you have 2 kids). I can't tell you how much piece of mind this monitor gives me! 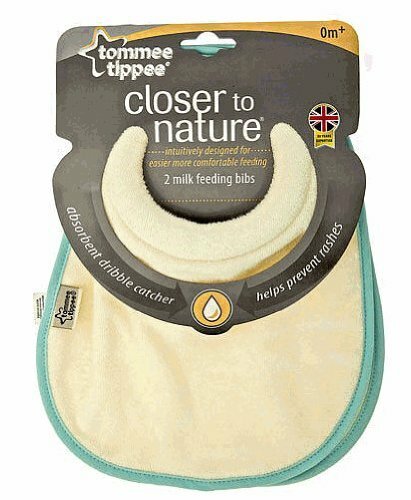 Now that Trace is a little bigger these bibs are starting to fit around his neck better. 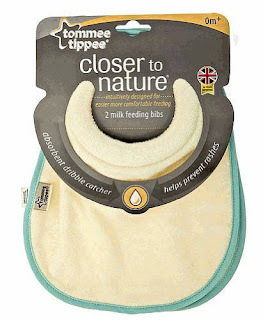 The thickness of the neck catches milk from getting on his clothes and saves me the hastle of removing many stains. This mat is perfect to bring outdoors on grass and doubles nicely as an activity mat when not at home. I bring it over to my parents to lay Trace on or to do tummy time on. 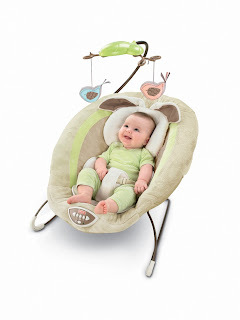 It has a mirror, a squeaker and several different textures to satisfy Trace's curiousity, entertain him and stimulate his little brain. I don't know what I would have done this summer without this sun and bug cover. It blocks out 98% of UV rays and is UPF (ultraviolet protection factor) 50+ fabric. And we've been able to take walks at sunset, when the bugs are at their peak. Plus it keeps pesky people from touching Trace with their germ filled hands. Trace is obsessed with this crab. 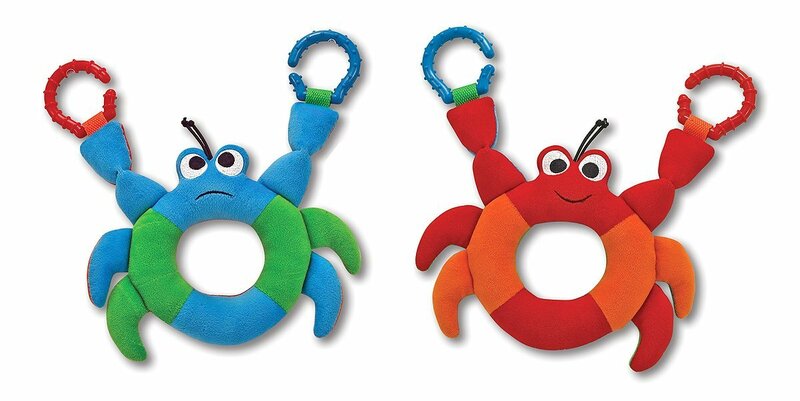 One side is blue/green and the other side of the crab is red/orange. 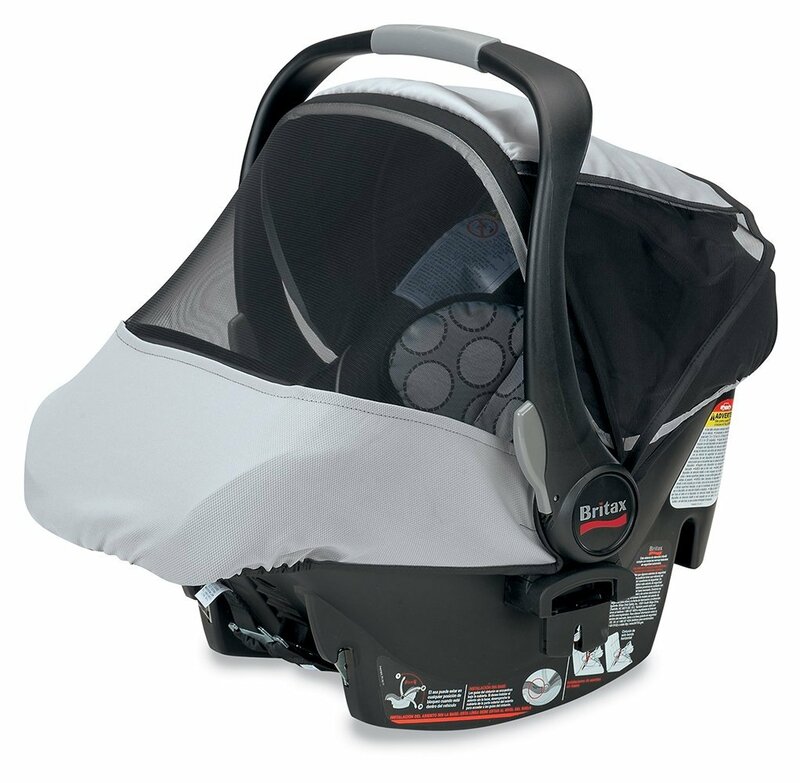 I attach it to his carseat and he stares at it, bats it with his hand and laughs at it. It holds his attention for a really good amount of time. We had a lot of the same items but that bib looks awesome! Didn't have one of those! You should check out the bibs in the etsy shop sirbubbadoo! They're amazing and super durable! I'm def gonna check out the sun and bug cover though! 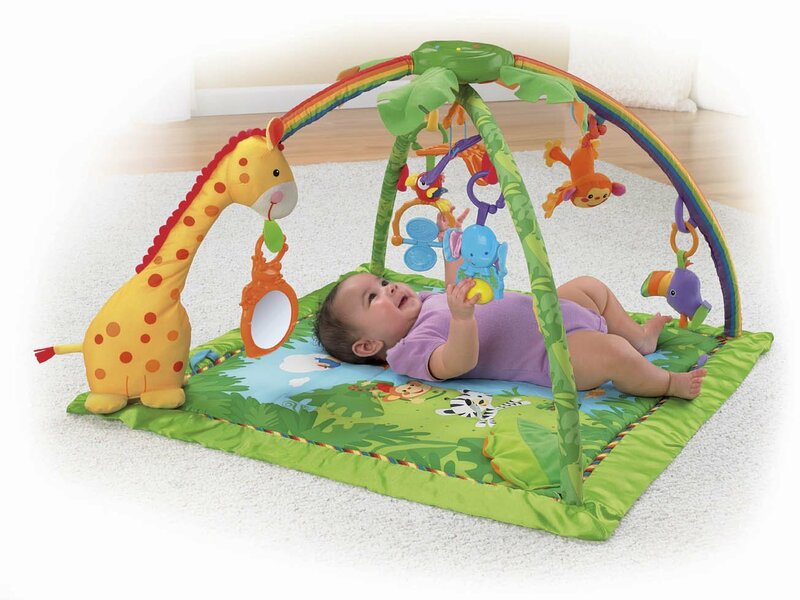 When the time comes, get the Rain forest jumperoo from Fisher Price!! Lucas loved it! And it's great because it's not really boyish or girlish, so it can be used with more than one kid and you won't feel bad about it!